James Brister was born in Philadelphia in 1858, the son of dentist Joseph Brister and his wife Olivia Rebecca Parker Brister. Joseph Brister had been born in Philadelphia around the time his parents arrived there from Delaware in 1835. His wife was born in Philadelphia a few years later; her parents had migrated to the city from Maryland. Joseph Brister was able to provide a comfortable home for James and his brothers and sisters. In 1860 Joseph Brister was already a member of the Banneker Institute, organized in 1854 by a group of men interested in literary pursuits and debating; a few years later he is known to have been a member of the Social Civil and Statistical Association, organized in 1860 to focus on suffrage, financial conditions, and civil and social rights in Philadelphia’s black community. At the time of the 1860 census James Brister, age one, was living with his older sister Olivia, his parents Joseph and Olivia, his maternal grandmother, an aunt, and two uncles. Joseph Brister is already listed as a dentist, James’ aunt and uncles as a seamstress, barber, and apprentice shoemaker; the house at 3 Cobb Street was owned by James’ grandmother, Olivia Parker. In 1861, when James was just three years old, his father Joseph was practicing dentistry at 606 Pine Street. At the time of the 1870 census, the family was living in Philadelphia’s Seventh Ward; the children included not just eleven-year old James, but also older sister Olivia, a younger sister Bessie, and an infant brother Joseph. Three domestic servants, all forty-five year old Black women with different surnames, also lived in the house in 1870. By 1880, Joseph and Olivia Brister were living at 844 Lombard Street with their children. James, age 22 and now a Penn Dental School student, was listed as a dentist like his father; Olivia was a twenty-three year old teacher; the two other children in the household were still very young, Theophilus age seven and Angela age two. 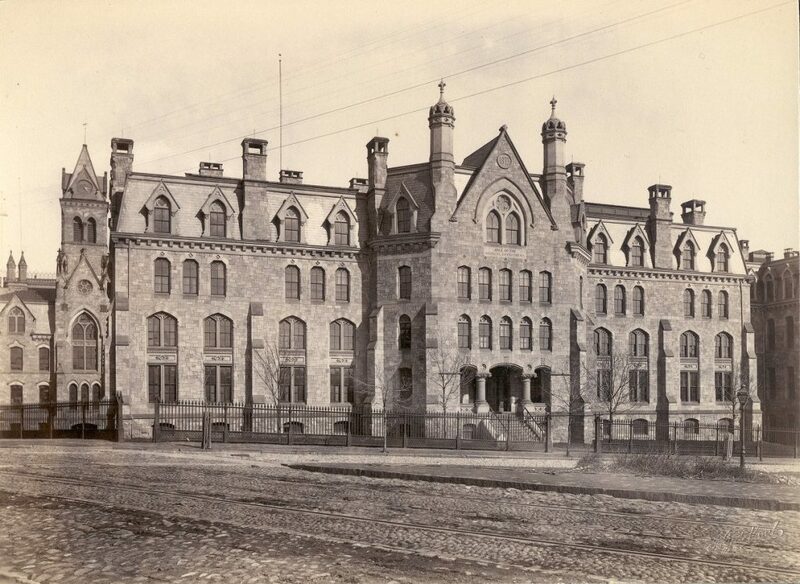 James Brister entered Penn’s Dental School in 1879. He presented his essay on “The Dental Tissues” in February of 1881, and on March 15 of that year he was listed as one of the founders of the Society of Alumni of the Dental School. At the time of his graduation, his preceptor was listed as Joseph Brister. Sometime in the early 1880s, James Brister’s mother died. About 1885 his father Joseph remarried; he and his second wife, Lucy Warfield, had four children. For the first few years of this marriage, James continued to live in his father’s house. According to the Philadelphia City Directory, father and son were practicing dentistry together at 844 Lombard Street in 1890. Shortly after that, James Brister moved to Chicago, and he would spend the rest of his life in Illinois. The first issue of Polk’s Dental Directory, from 1893, listed Brister’s Chicago dental office at 2970 Dearborn Street. He practiced dentistry on State Street from 1898 to 1901, and then on Michigan Avenue in 1902 and 1903. From 1908 through 1915, he was listed as practicing in Zion, a small city on Lake Michigan just below the Wisconsin border. Zion was founded in 1901 by John Alexander Dowie, founder of the Christian Catholic Apostolic Church and leader of the Divine Healing Association, as a city where his congregation would be free from the evils of the world. James Brister had joined Dowie’s tabernacle in Chicago and became one of the earliest residents of Zion, the only dentist and one of only four African American families. According to a 1904 publication, James Brister was a deacon in Dowie’s church and his wife, Anna D. Murrell Brister, a deaconess. James and Anna had two sons and two daughters, all born in Zion between 1901 and 1906. The family lived first at 1902 Ezekiel Avenue and then at 3102 Enoch Street; Brister’s dental practice was conducted in “Temple Cottage,” a wooden farm house on Sheridan Road. That James Brister was well-respected in Zion is further shown by the fact that he was a city alderman — and the only African American city official. And he was also reportedly the only city resident who could play Zion’s huge pipe organ, then the biggest in the world. Sadly, Brister died in 1916, leaving his wife to raise their adolescent children.